So you know about Space Mountain and Toy Story Mania. And you know about character meals and autographs. Today, I'm showing you 15 unique things that most first-timers don't do that you might want to add to your trip plans. One hour prior to the fireworks starting at Magic Kingdom, there is a Wishes Fireworks Dessert Party that is held at Tomorrowland Terrace. There is a self-service buffet of desserts and beverages and a great view of the fireworks from this location. Some people complain that viewing was difficult because people rushed to the front of the area once fireworks began. Our family didn't run into that issue when we did it. Prices: $35 for children ages 3-9 and $59 for people ages 10 (both prices include tax). The Disney Dining Plan is not accepted here. Reservations: Reservations can be made online or by calling 407-WDW-DINE. Note: The Fireworks Dessert Party often has a start time of 6:00 p.m. listed, even though the actual party may start later. If you plan to schedule a dinner Advanced Dining Reservation around 6:00 p.m. you will need to call 407-WDW-DINE for your Fireworks Dessert Party reservations as the online system won't let you hold 2 reservations with conflicting times. All of the Disney resorts have outdoor movies in the evenings, with many of them being pool-side using blow-up screens. Some resorts even include a dance party or campfire as part of the festivities. 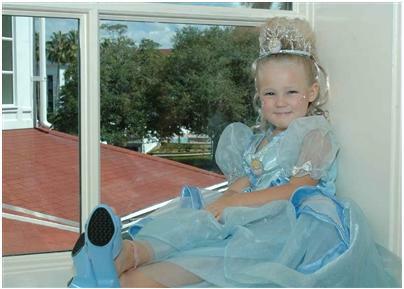 You can have professional portraits taken of you and your family while you're at Disney World. You'll have the gorgeous resorts as a backdrop as they take dozens and dozens of photos. You can choose from Professional Print packages or get all of your session images on a flash drive (separate from Disney's PhotoPass products). Because the flash drives gives you full copyright of your pictures, you can have prints done at less expensive places. 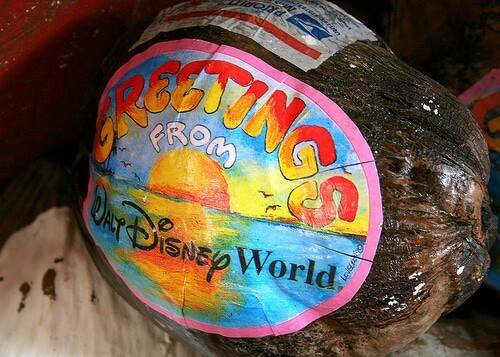 In the gift shops at Pirates of the Caribbean, Caribbean Beach Resort, and the Polynesian, you can buy a postage-paid coconut and mail it anywhere in the United States. Simply write on the flat service and drop it in the mail! Right when you walk into Magic Kingdom and just to the left, there is a place to get your hair cut called Harmony Barber Shop. This is an old-fashioned kind of place where you can get a quick trim or a full groom. Services at Harmony Barber Shop used to be just available by walking in but they now take appointments. See this post for a full review of the My First Haircut Experience. 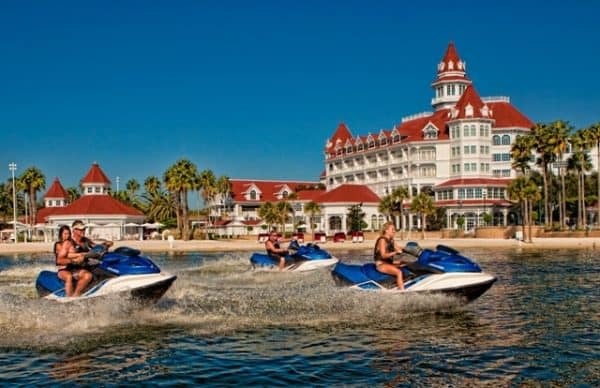 At Sammy Duvall's Watersports Centre (located at The Contemporary Resort), you can choose from several different water sports: water skiing, parasailing, wakeboarding, stand up paddle boarding or inner tubing. Guests have to be 18 to rent, 16 to drive and any age to ride along. Parasailing has a minimum age of 6. There are 2 mini golf courses at Disney World: Fantasia Gardens (located near the Swan/Dolphin) and Winter Summerland Miniature Golf Course (located near Blizzard Beach). Each golf course has 2 separate sections to choose from. Inside The Seas Pavilion at Epcot is DiveQuest, which allows visitors to dive inside the 5.7-million-gallon saltwater tank. Scuba-certified guests can swim with over 6,000 sea creatures—including sea turtles, angelfish, dolphins, eagle rays and sharks. The experience lasts 3 hours, and guests will spend about 40 minutes underwater in the huge Caribbean Coral Reef aquarium—which until 2005 was the largest saltwater tank in the world. Participants also get to see the massive backstage infrastructure required to filter and maintain a vast manmade ocean. Near the Meadow Trading Post at Ft. Wilderness is Chip and Dale's Campfire, held around 7 p.m. during the fall/winter season and 8 p.m. beginning sometime in April through the summer. A Cast Member starts it off with a sing-along, followed by a marshmallow roast and a visit from Chip and Dale. Guests can go on private fishing excursions in a catch-and-release program for large-mouth bass. The excursions include a guide, rod and reel, tackle, bait and beverages. Guests are not allowed to bring their own food, beverages or coolers. Most Disney resorts have an arcade that's open from 7 a.m. to midnight with a wide variety of games to play. Most of the arcades use a rechargeable card that holds credits for game play (people who book a package will get some credits as part of their package). The Tri-Circle-D Ranch at Ft. Wilderness Resort has lots of ways to enjoy horses - trail rides (offered daily at 8:30 am, 10 am, 11:30 am, 1:00 pm, 2:30 pm, and 4:00 pm for riders age 9 ), pony rides and carriage rides*. Also available at the ranch: hay rides and wagon rides. 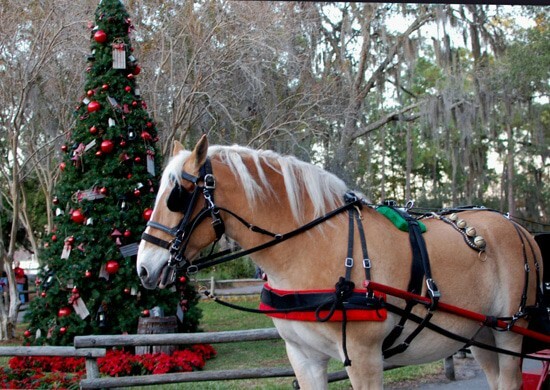 Available in December: horse-drawn sleigh rides. In the Liberty Square section of Magic Kingdom, there's a Christmas shop that often allows the first child who shows up there each day to decorate the tree inside. They even put their name and the date on a little sign to let everybody know. Falling under the nerdy category (i.e., I love it) are these 2 games: Agent P's World Showcase Adventure at Epcot and Sorcerers of the Magic Kingdom at the....Magic Kingdom. Both of these games involve an interactive scavenger hunt where you solve things and you are able to make things happen in the parks as you go through the game. Thoughts? Questions? I know some of you have things that could be added to this list. Talk about it in the comments. I love these ideas, I wished we could have done the campfire last time we went. Hopefully next time there we can check a few of these off our list. Love this list!!! Sorcerers of the Magic Kingdom will always be special to me. On my first trip when I was about 8, as we were parking on the first day a CM gave us directions. Afterwards, he gave my brother and me both a card. Very special memory! Polynesian no longer has an arcade. I know this is an older post, but I just have to add my 2 cents worth about the Chip N Dale Marshmallow Roast. 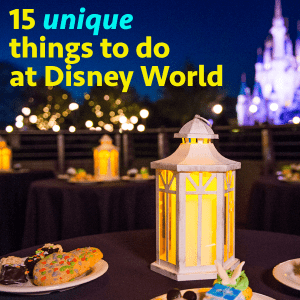 We have been to Disney many times and on our last visit I was looking for something new to do. Got great info about the Chip N Dale campfire sing al long from the Disney Mom’s panel. I was a bit concerned about getting there as we had no car. Getting there turned out to be easy and part of the fun! We were at Pop Century, so we headed out early. We went to the Transportation hub in front of Magic Kingdom and caught a boat over to Fort Wilderness. The ride over was great! Is is a smaller boat and we saw various forms of wildlife. Nice ride. Then we arrived at a sandy beach area and walked past the Hoop Dee Do Musical Review building. Very nice grounds and just pleasant to see. Lovely wooded walk. Caught the bus over to the general store that sold marshmallows and sticks for the campfire. We did not buy them and good thing too, because as we arrived at the campfire area a game of bingo was going on. We met Chip N Dale for photos and my daughter won Bingo!! Her prize: the s’mores kit!! She was delighted. We hung out, made s’mores, sang a long with Chip N Dale and then watched the lighted water parade from the sandy beach. We could also see some of the MK fireworks from there. I highly recommend this free activity. It is a great thing to do on an evening when you arrive at WDW, but are not going to the parks. Good first night activity. Very enjoyable. Was fun doing something completely new and seeing WDW from different perspective. Sorry, forgot to explain that we took the Disney bus from our Pop Century Resort. I believe we allowed an hour to get to the campfire area. We had plenty of time. Sounds fantastic! 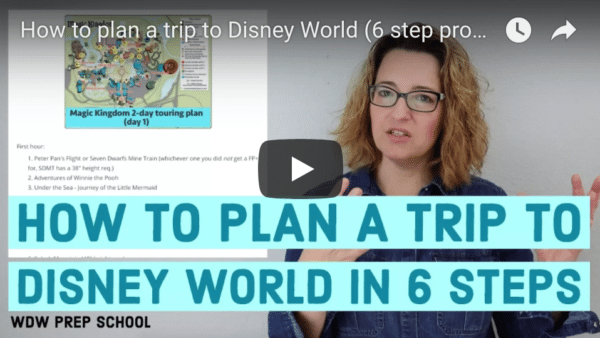 This is on my to-do list for our next trip – you just sealed the deal! Horse-dream sleigh rides? Are they $45 per person or for one carriage? I understand it can fit 2 adults and 3 kids? Numbers 4 and 14 are gone now. I thought I read recently that Animation Academy is closed as of this month (July). True? What happened to the “Honey I shrunk the kids” 3D movie? I was looking forward to taking the 3 grandsons and watch them when all the little surprises happen. Also what happened to the ride in Hollywood Studios that had the fire and water and you can see all the houses like Golden Girls and Psycho? Honey I Shrunk the Kids was replaced with Captain EO after Michael Jackson died. The Hollywood Studios ride you’re talking about is the Backlot Tour and it closed last year. So Art of Animation does not have an arcade? We stayed at ARA last September and are returning there Jan. 2015. Yes they have a small arcade. Right off the lobby. Hey thank you for explaining some of the activities at disney world along with their prices. It is so hard to find a detailed article along with prices while searching on Google. Be sure to keep adding to the list. Thanks again! Not just getting a haircut at Harmony Barbershop, getting Baby’s First Haircut! For the same $15 she got her hair cut for the first time (sniff), they wrapped up the curl for me to keep, she got a big Mickey certificate, her hair was sprinkled with pixie dust, AND she was presented with her very first mouse ears that said First Haircut. This is one of WDW’s best bargains all around. Hi Shannon, what about having tea with Alice and friends at 1900 park fare? Is it a nice experience? Do you think it´s woth? My daughter loves Alice, but I dindn´t find informations or photos about this experience, how it happens and if it really fun… can you help me? Where do you get the Sorcerer’s Apprentice cards for the game? Everything I know about SotMK is at the link I put in the description above. I haven’t personally done it yet to be able to give you an answer based on my experience. I haven’t done it personally either..but plan on it in December. From what I have found the cards can be picked up at the Firestation and the Christmas Store in Liberty Square. This all sounds great! We did the Segway at Epcot a few years ago and are thinking about doing that again. I also understand there is a Segway at Fort Wilderness. Which one would be the most fun? Also, we have park hoppers. Is there a way to park free anywhere and then use the Disney Transportation system to move around? would you recommend doing the sorceror’s magic kingdom game if you only have one day? We are only going to be at DW one day and Epcot one day. It sounds so fun and the boys are nuts about that kind of thing but seems that it might take a time commitment. Have you participated in either of those? We go to Disney every year. If you only have one day I would not do the game. I would sit down with your family and decide what rides they must do. If you are going at a busy time you will have long lines to wait in. Use Fastpass when available and realize you will not get to see even half of what is there. Even if you don’t want to spend the time playing the game–and it can take quite a bit if lots of people are playing–be sure to pick up the free cards for souvenirs. The pirates and pals thing was fun! But exspensive and I recomend not drinking alot on the way your out on the boat for awhile…. Don’t forget the Pirate and Pals Voyage cruise..a great way to see the wishes fireworks! Is there an age limit on the learn to draw activity. I believe my 6year granddaughter would love to do this when we visit in June. no there isn’t an age limit…anyone can do it. It’s really fun! When my now 14 y/o son was six, he participated in two of the drawing classes at Disney Quest. I had to hold him in my lap so he could reach the drawing board. 🙂 He LOVED it! To this day they are two of my most cherished items and favorite memories! Do you have to be staying on-site to attend the Chip and Dale campfire? As far as I can tell, anybody can do it. It’s one of the only ways to hang out with characters for free. That is simply amazing! My kids will flip out! What is the best way to get there? We will have our own car. And how do I find out what nights it is? Drive to Ft. Wilderness and park in the parking lot. Take the internal bus to the campfire stop. It’s every night of the year (weather permitting) and takes place at 8 p.m. during spring and summer, 7 p.m. in fall and winter (call Ft. Wilderness to verify when you’re there if you’re unsure). You can bring your own smores ingredients or buy them there if you want to make them at the camp fire. There is also archery at Ft. Wilderness. My mom did it 2 years ago and loved it! 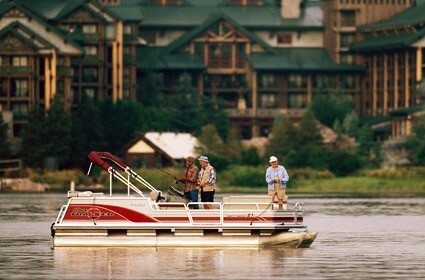 I feel like Ft. Wilderness has at least 15 unique things that people can do just at that one resort. I didn’t know about archery though. Thanks for adding that! The campgrounds have pony rides, horse rides, wagon rides, archery, canoeing, campfires, movies, Hoop de Doo, and lots more. I don’t think a lot of people realize that some packages include some credits on their key to the magic room card for the arcade, last time we went no one ended up using them. Also Disney Quest is included in the water park and more option as well as mini golfing. There is a lot included in the Water Park option besides the water parks so be sure you understand what your paying for, I am still trying to be sure I understand all the details before the next trip. Do you have an article about the different tickets and using them most efficiently?